The number of shops in Europe that sell in bulk is growing constantly. Aside from the well-established Italian Effecorta and Catalan Granel, in Vienna Lunzers Mass-Greisslerei is offering products in bulk to the Austrians, whereas in Germany a new shop called Unverpackt is about to open its doors in berlin. The concept is simple – none or very little packaging. 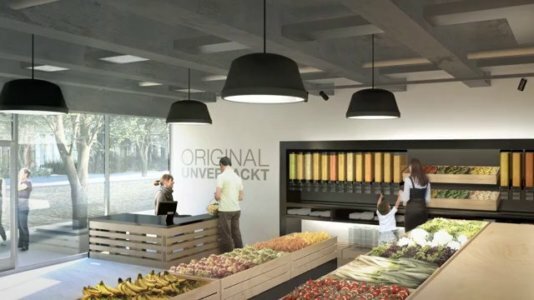 a team of women in Berlin are trying the next iteration of the packaging-free grocery store, and they call the concept Original Unverpakt ("Original Unpacked"). 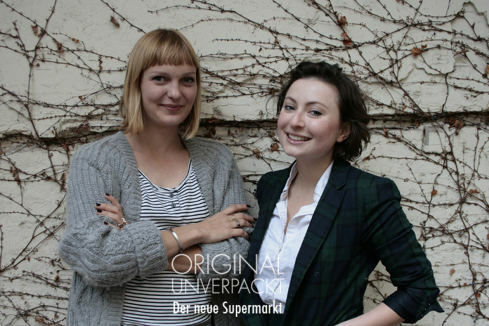 Milena Glimbovski, 23, and Sara Wolf, 30, the originators of the Original Unverpackt idea, are striving for 'precycling' - avoiding recycling by reducing - by having consumers bring their own packaging. Unlike many co-ops where food is less packaged and the vibe is folksy, Glimbovski and Wolf are striving for an upscale, post-modern appearance, yet still hoping to skirt the need for packaging whenever possible, and when it is not possible, to use beeswax paper to wrap purchases and to either rent or sell customers reusable packaging. Glimbovski and Wolf have worked on their business idea for over a year - they believe they can have about 600 products in the first Original Unpacked store. Produce and bulk items in the store won't be strictly organic - local and less-packaged will take precedence. After just a few days on the German startnext crowdfunding web site, Original Unverpakt has doubled its funding goal, with more than two weeks of the campaign left. The only big hurdle left is a site for the first grocery - the target is the trend Kreuzberg district in Berlin, where rents are high and space is tight. It seems that the new store is part of a global trend. It started in London, at 2007 with a group of intrepid eco-conscious entrepreneurs trying to create a supermarket where packaging was at a minimum. The Unpackaged store inspired lots of Londoners, but in spite of the massive press, Unpackaged couldn't make it. In Austin, a grocery store called in.gredients also eschews packaging, and though its tiny space, the store is currently thriving. If you want to refill your wine bottle or buy in bulk your cleaning materials in a non-dispensable plastic can, stay tuned for the upcoming opening of this new designer store in the coming year.